Product categories of Tape Dispenser, we are specialized manufacturers from China, Tape Dispenser, Electric Tape Dispenser suppliers/factory, wholesale high-quality products of Durable Auto Tape Dispenser R & D and manufacturing, we have the perfect after-sales service and technical support. Look forward to your cooperation! It is composed of automatic Tape Dispenser collection to which can provide different cutting actions to suit any production line and off-line requirements. KDW Automatic Tape Dispensers are applicable to all kinds of adhesive tapes , the non-stick tape, and double-sided tapes. Some of our models are also capable of cutting and distributing two rolls of adhesive tapes simultaneous.KDW Automatic Tape Dispensers are programmable and easy to use. 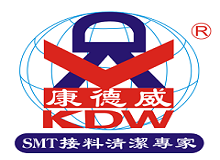 For more information about KDW Automatic Tape Dispensers, Please contact us or you can also visit our official website to see our product catalogs.